Today was the December birthday and Christmas party. The children were very excited to meet Santa. At first Santa was sad because his house was not decorated with wreathes. 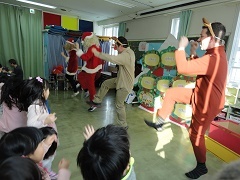 The children tried to cheer Santa up with the help of Mrs. Claus and the reindeer. The children sang Santa’s favorite song and decorated his house with wreathes. 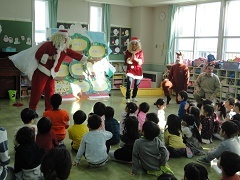 Santa came back very happy and had presents for all the children. 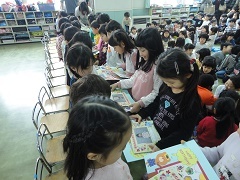 The children were very happy to receive these presents. Once again Happy Birthday to all the December Birthday children.